Barring injuries, substitutions are often made by managers as part of team tactics either offensively or defensively. Managers are sometimes faced with mind-boggling decisions when it comes to making changes to the squad. There are moments when bringing on fresh players have proven to be a disaster such as players who end up being sent off or injured. There is always an added risk when managers use up all their substitutions in the match because of the fact that goalkeeper too can be injured. For instance, in February 2007, defender John O’Shea was forced to play as a goalkeeper in Manchester United’s 4-0 win against Tottenham Hotspur. This happened in the final five minutes of the match as Edwin Van der Sar was injured when the match entered its closing stages. On the flip side, it is definitely a sweet feeling when managers bring on players who not only make an impact but also score goals in the process. These five players were introduced to change the shape of the match and ended up making a significant contribution to their team’s success. The Netherlands faced Costa Rica in the 2014 FIFA World Cup quarter-final tie on July 5. Louis van Gaal’s side were favourites to progress given the gulf in class between the two sides. However, Costa Rica was a defensively disciplined side as they forced a 0-0 draw in normal time. 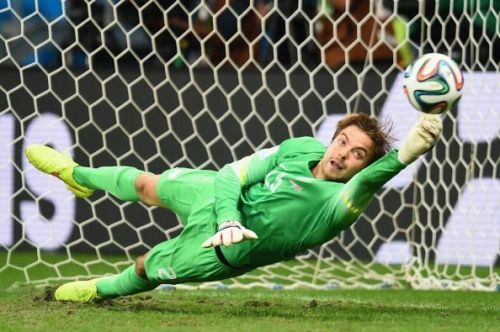 With about a minute left deep into extra time, van Gaal decided to substitute his first choice goalkeeper Jasper Cillessen with Tim Krul who went on to take charge of the penalty shoot-outs. This switch was a masterclass as Krul saved Bryan Ruiz’s penalty by diving to the bottom right corner and Michael Umana’s effort as Oranje secured a 4-3 win. Scout report: Who is Diogo Dalot?